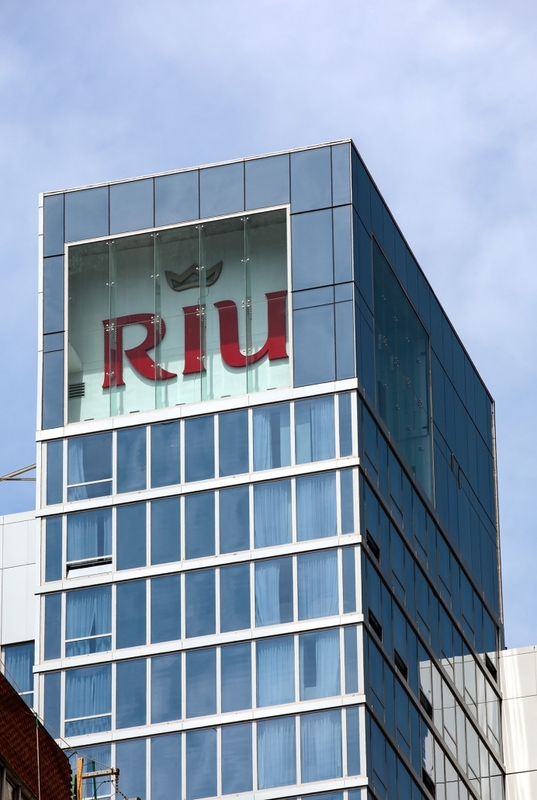 Founded in 1953 by the Riu family of Spain, this 3rd generation, 5-Star, international hotel chain started as a small holiday hotel over 60-years ago. 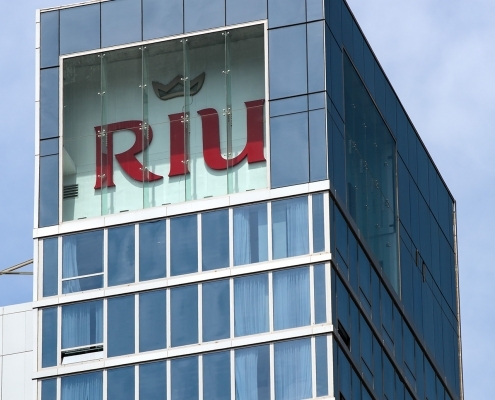 Today, Riu specializes in sun and sand holiday resorts and enjoys it’s current ranking as, according to Hotels Magazine, the 30th largest hotel chain in the world with over 100-hotels in 16-countries and 25,000 employees welcoming more than 3.2-MM guests per year. 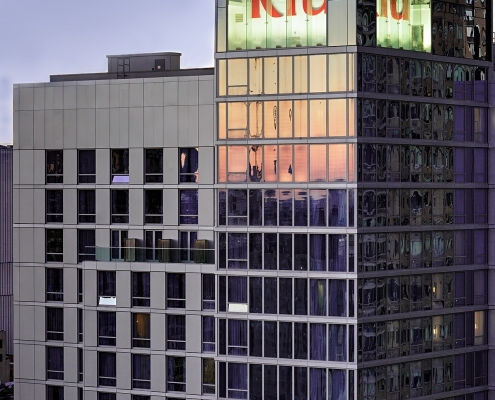 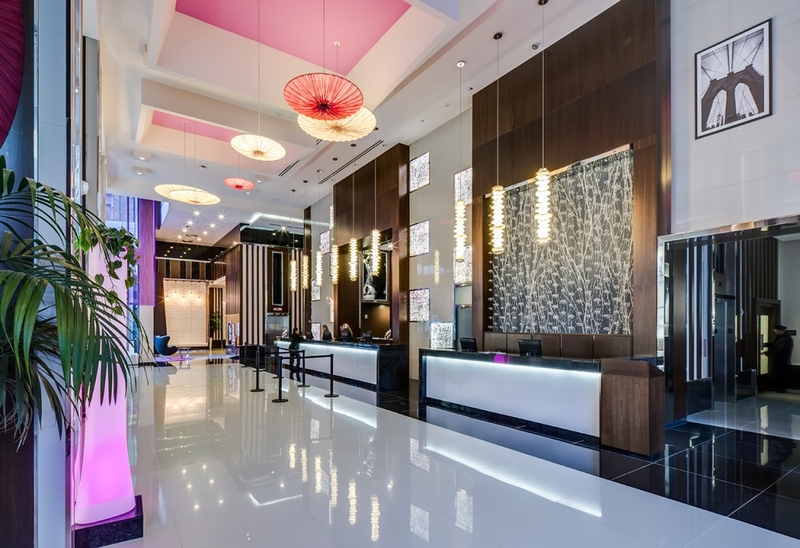 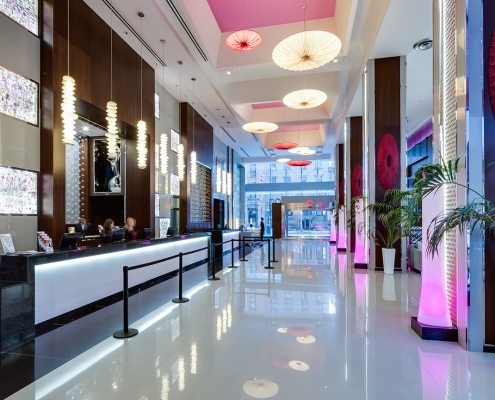 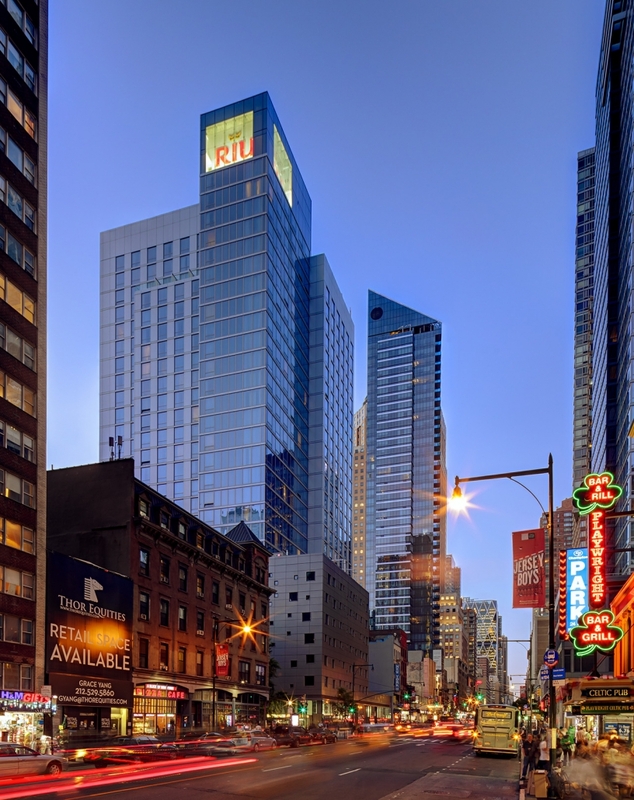 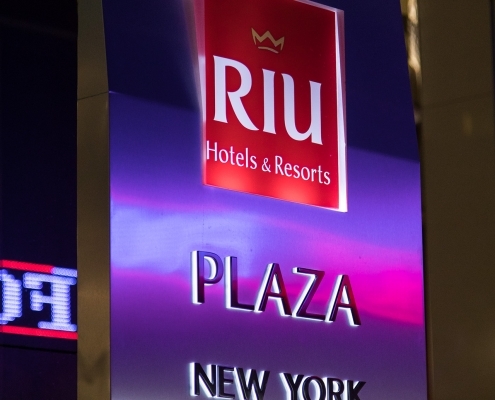 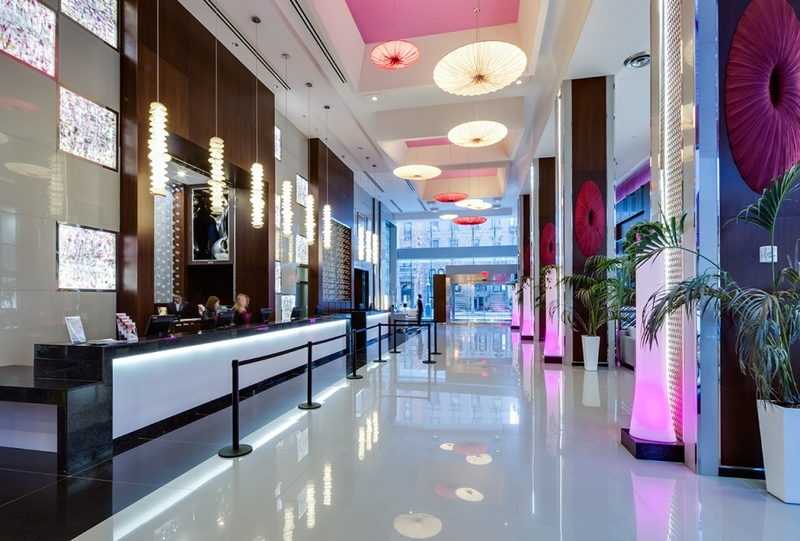 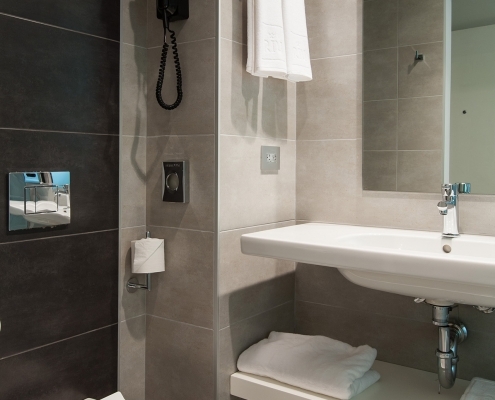 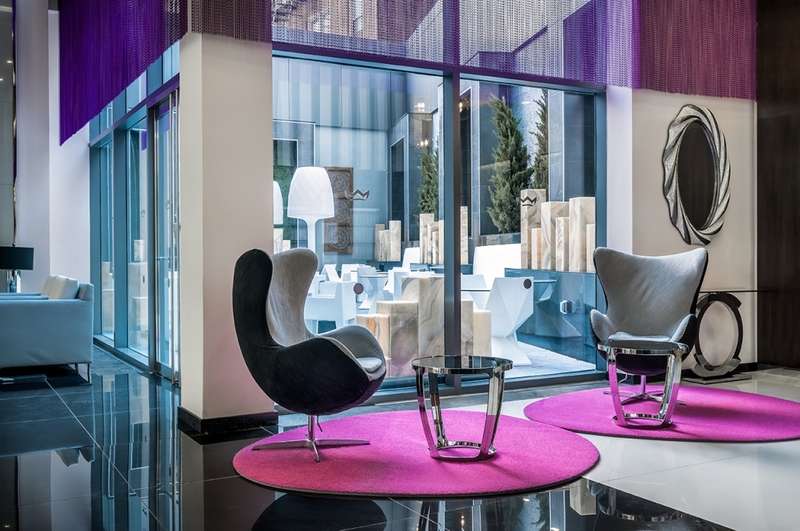 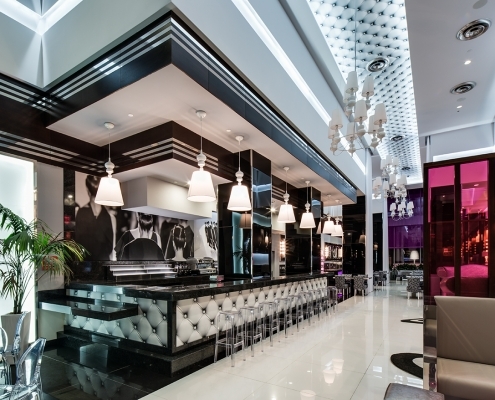 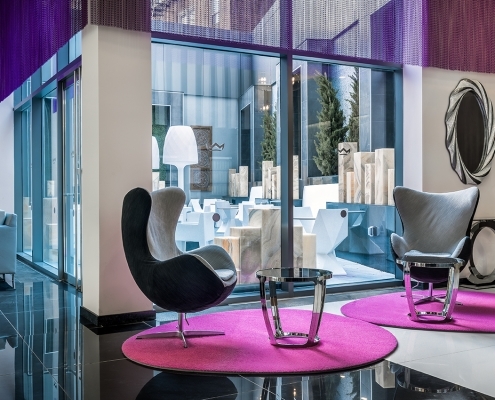 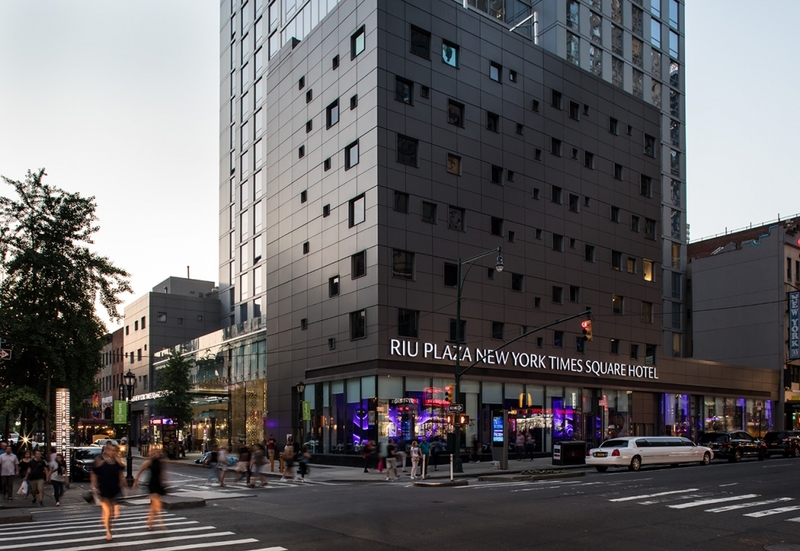 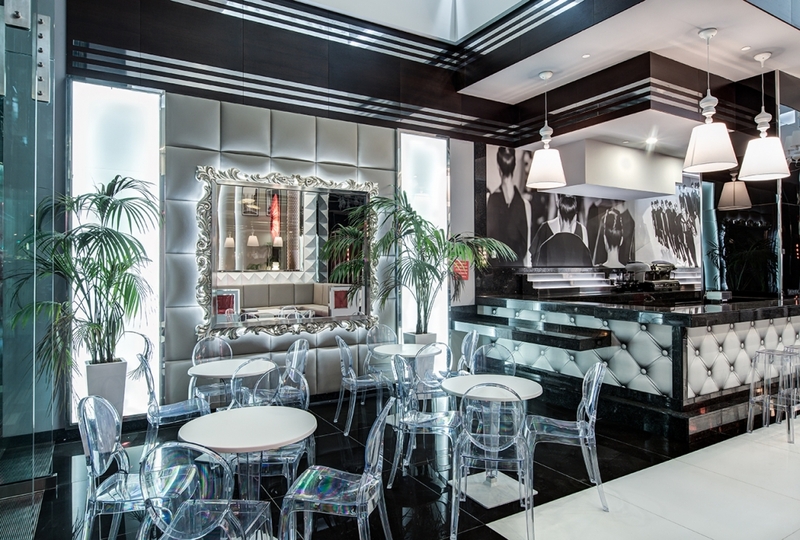 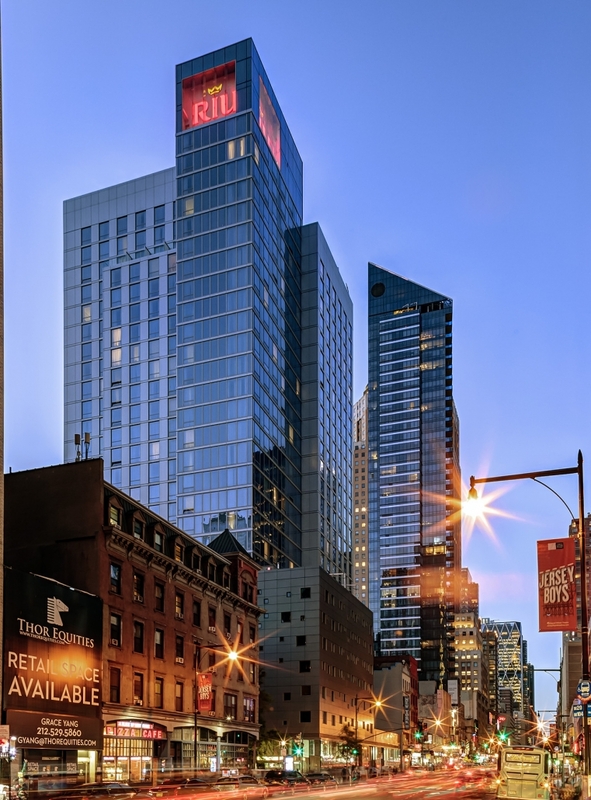 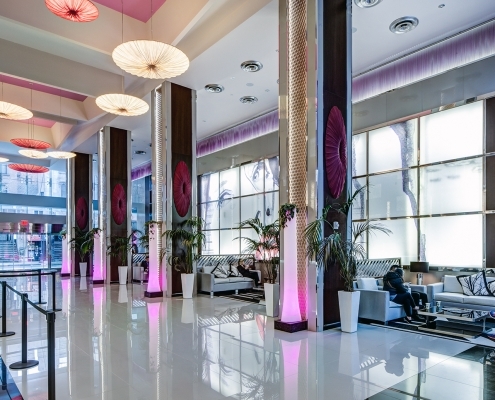 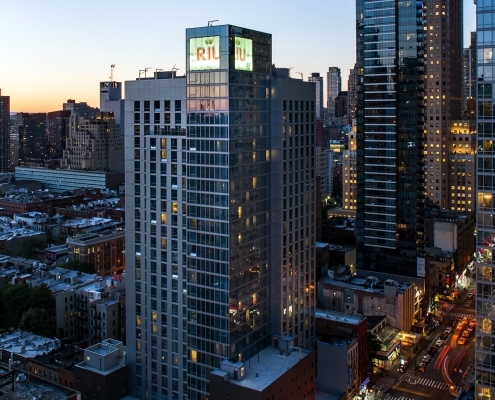 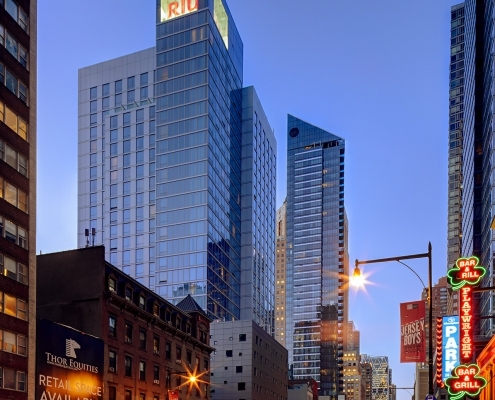 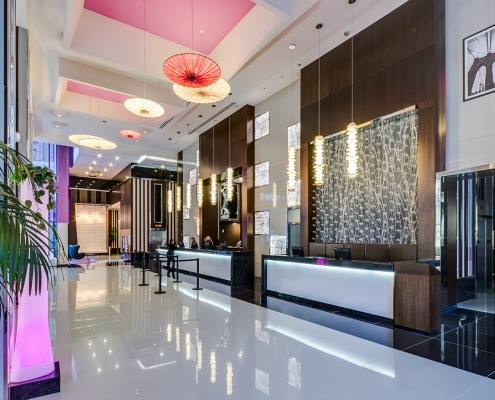 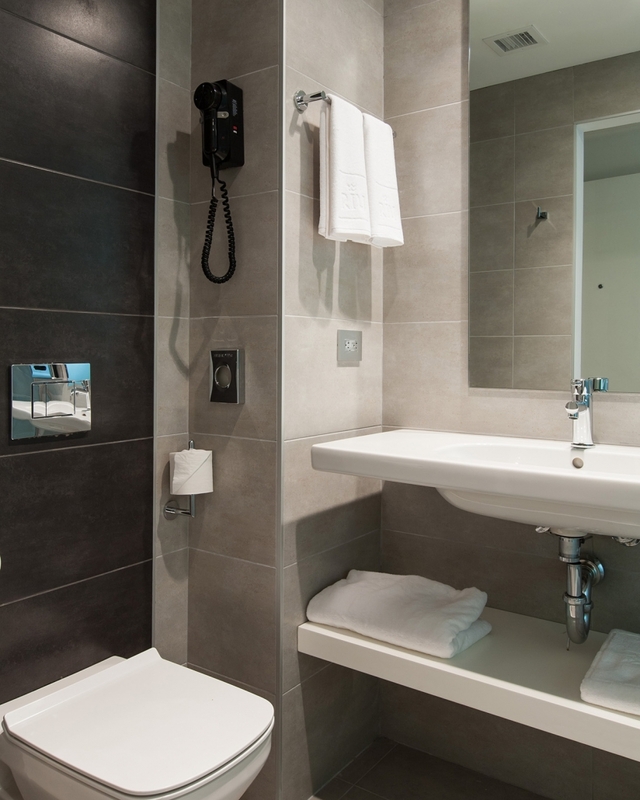 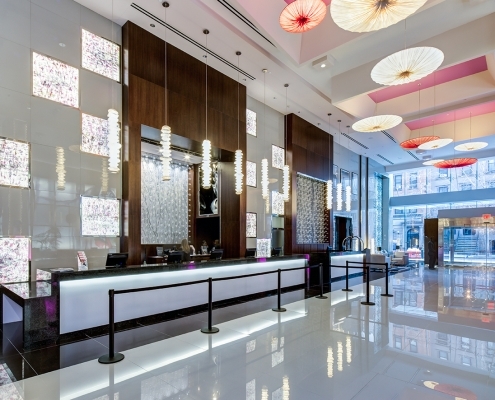 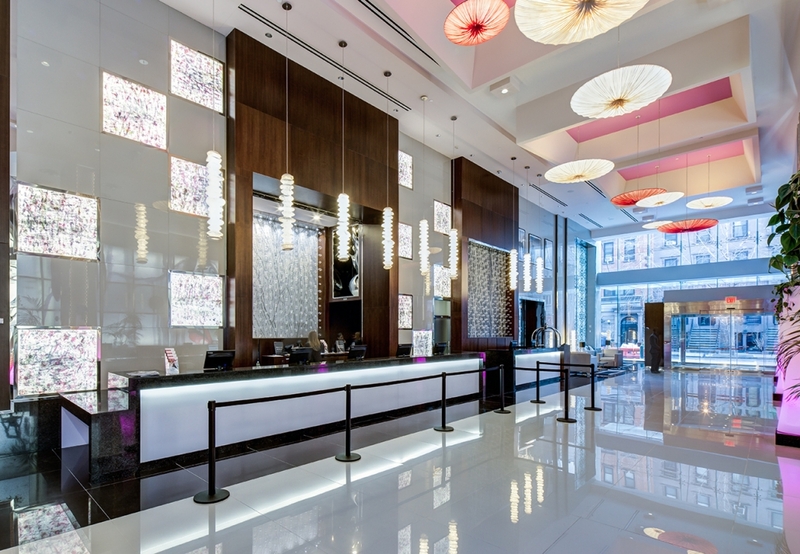 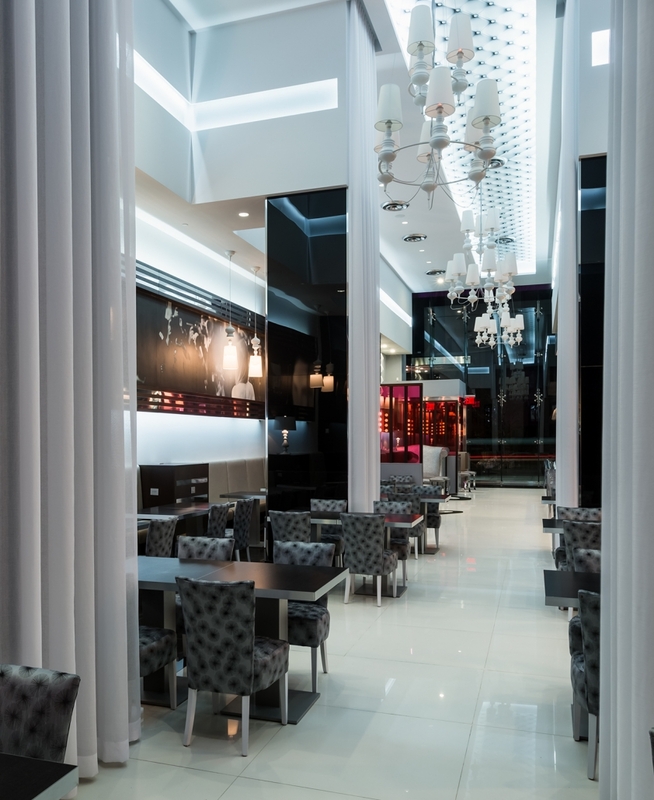 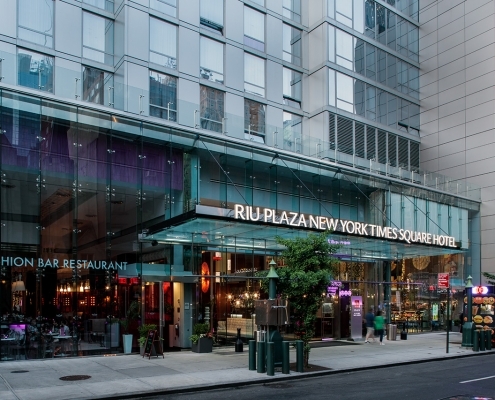 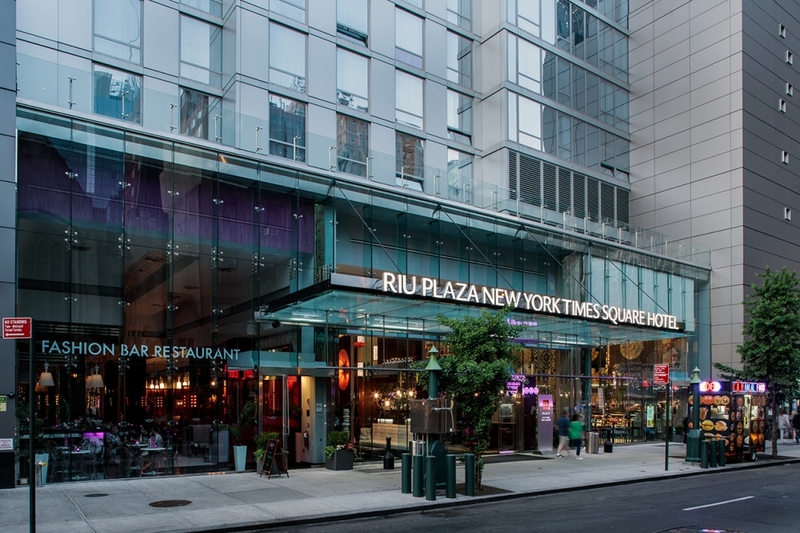 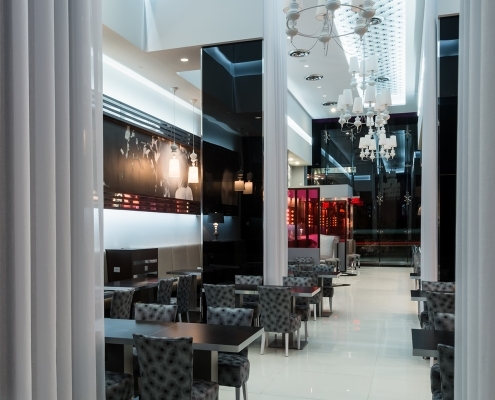 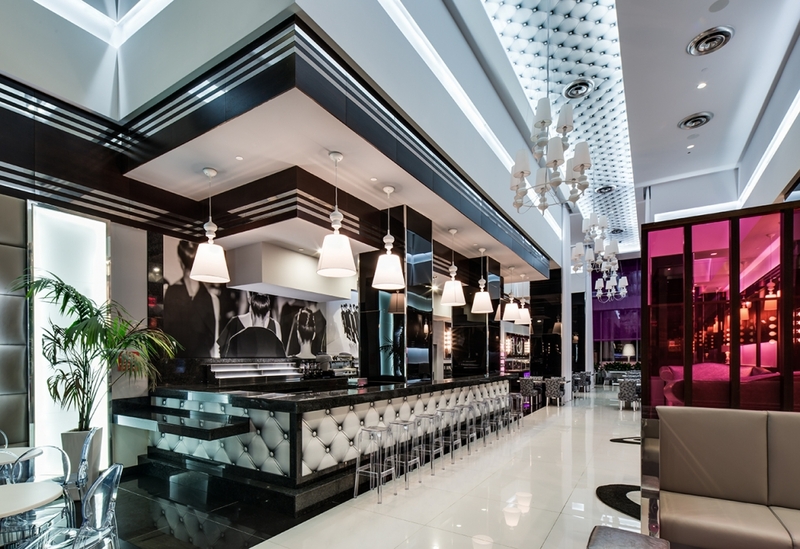 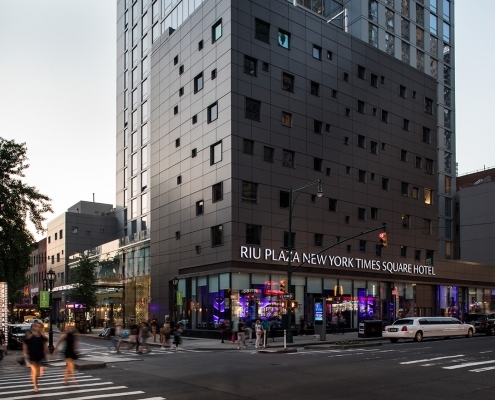 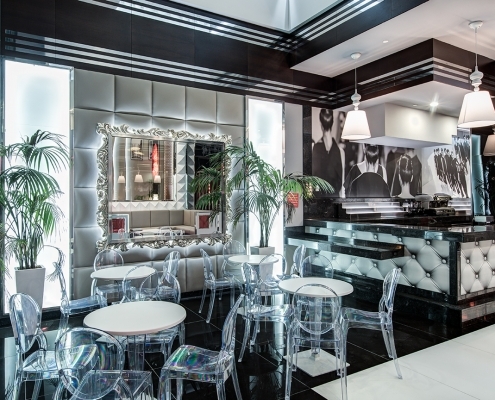 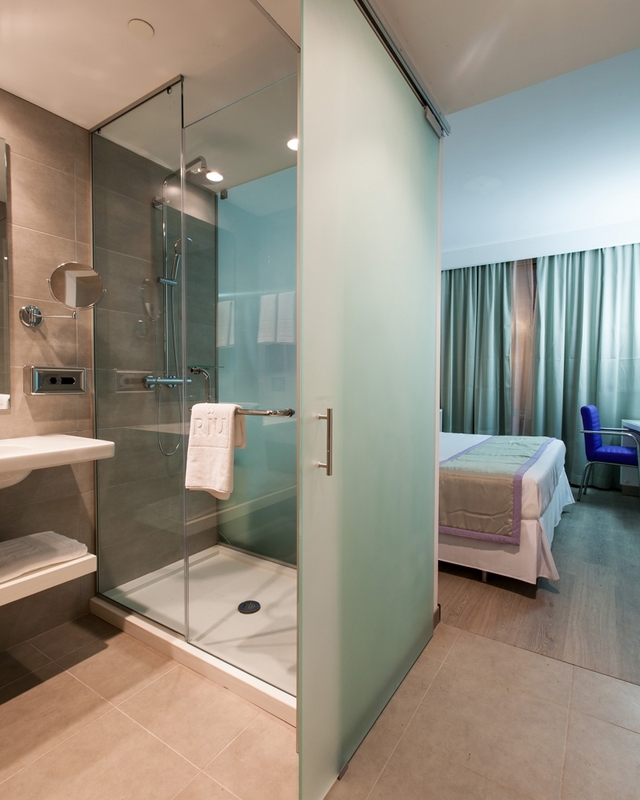 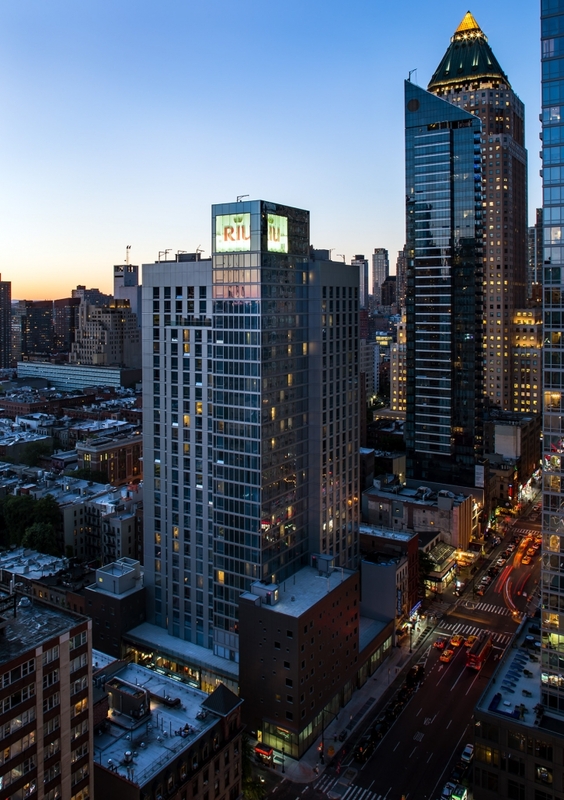 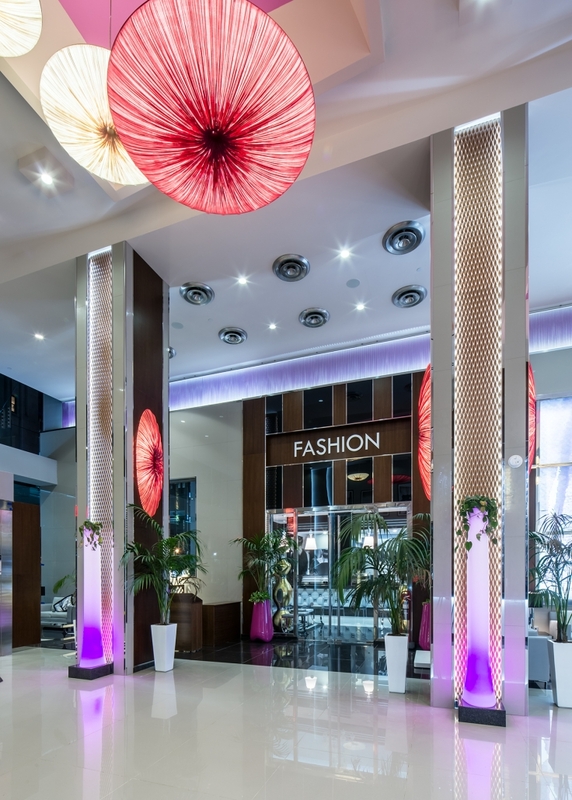 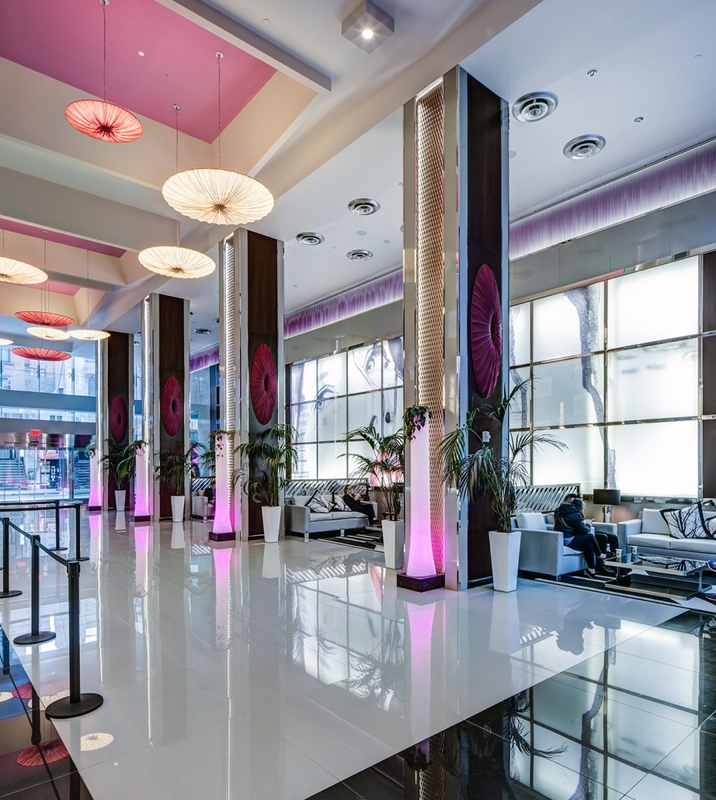 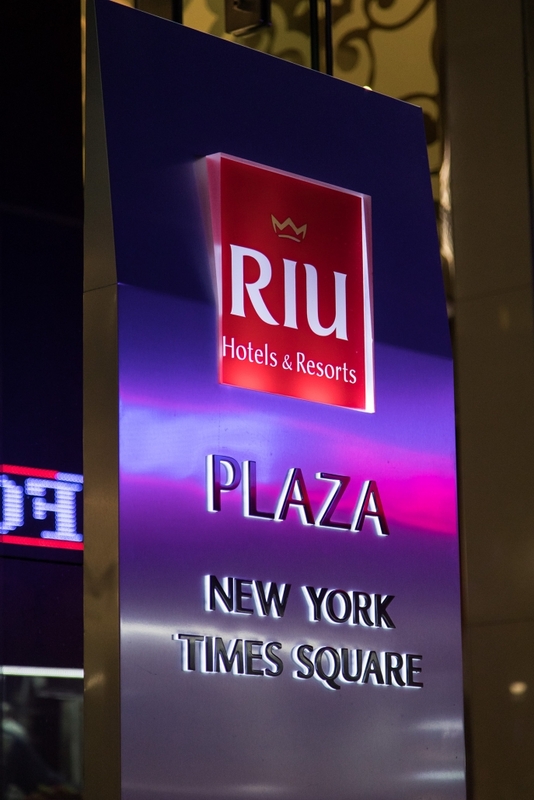 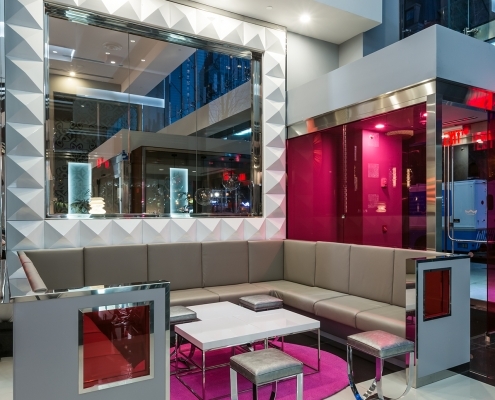 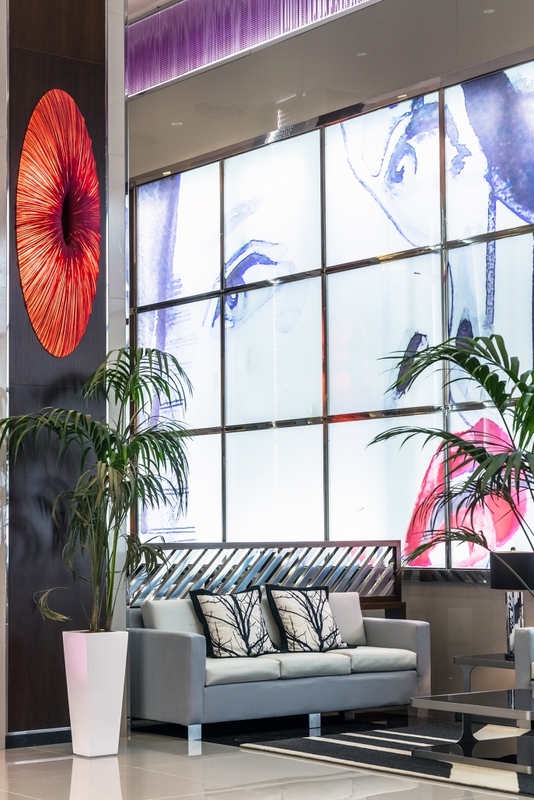 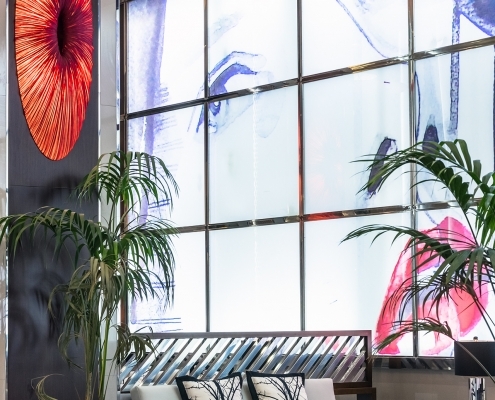 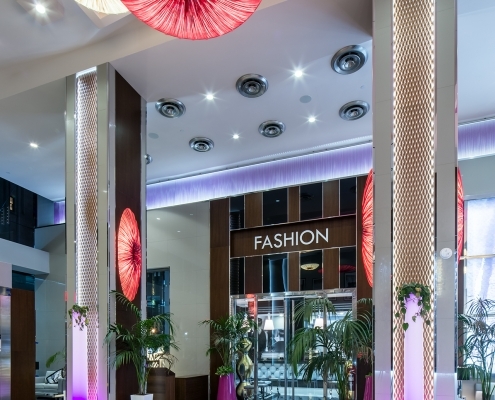 With the inauguration of it’s first urban hotel in 2010, Riu widen it’s range of hotel products with a new city hotel line called Riu Plaza and with Riu Plaza Times Square, it lands only it’s second hotel in the United States behind Miami’s South Beach resort location in sunny Florida. 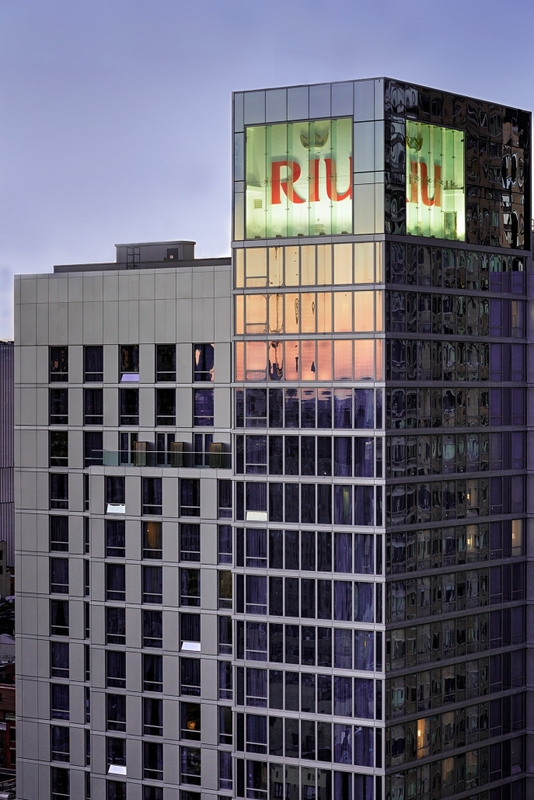 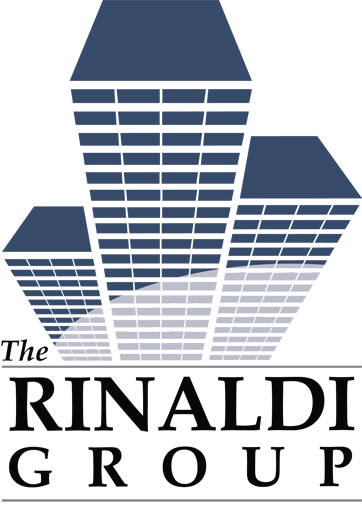 Given Riu’s existence and longevity, it’s purchasing power on FF&E specialties and products has helped reduce their overall CM contract value, although the overall hard cost of construction is estimated to be approximately $115-MM, all-in. 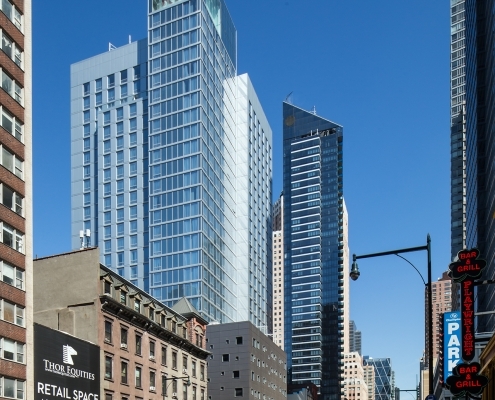 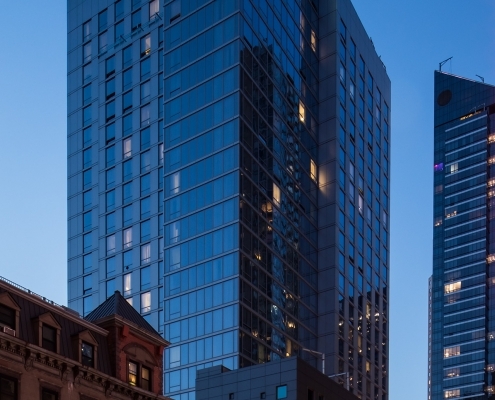 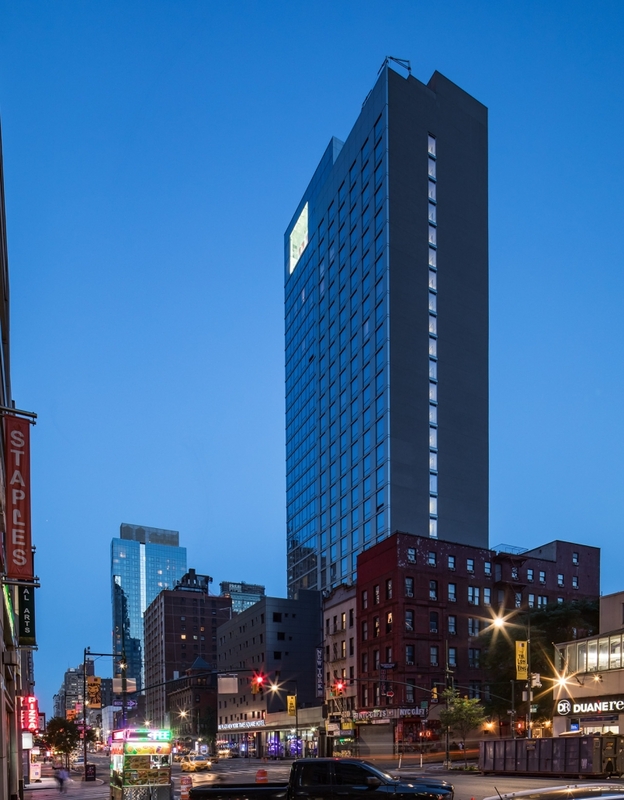 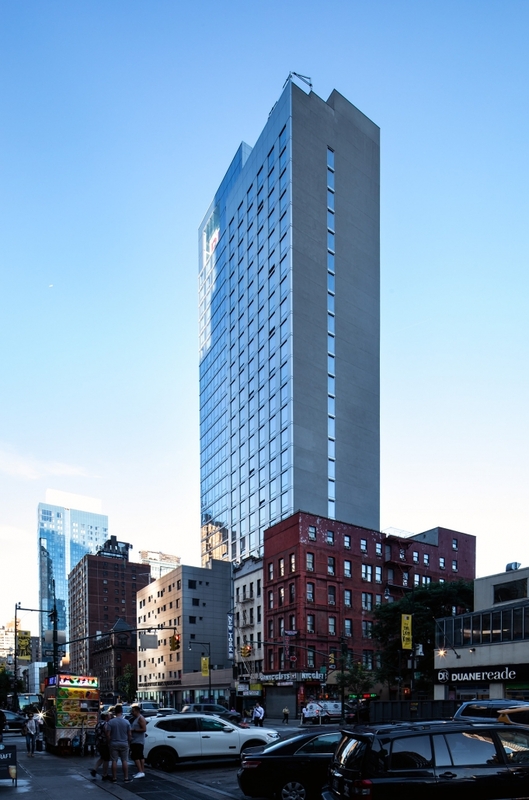 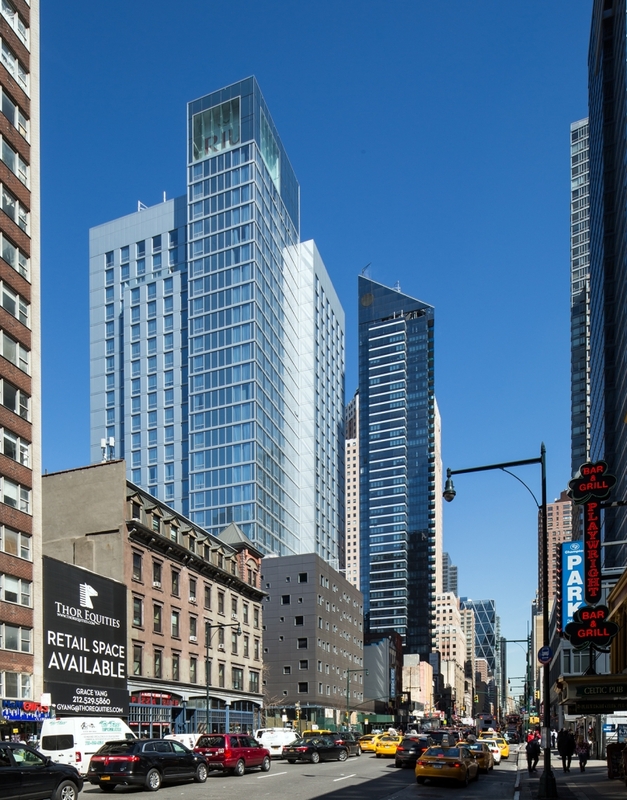 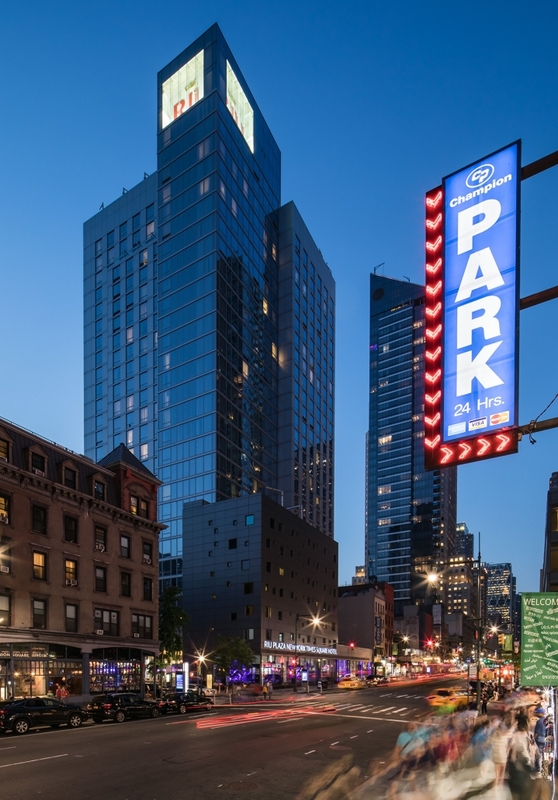 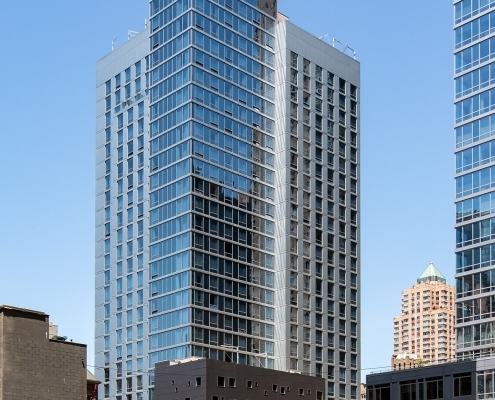 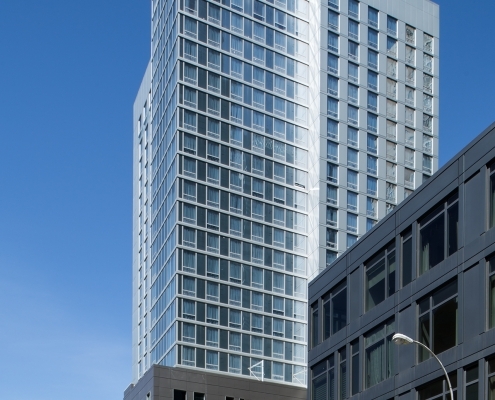 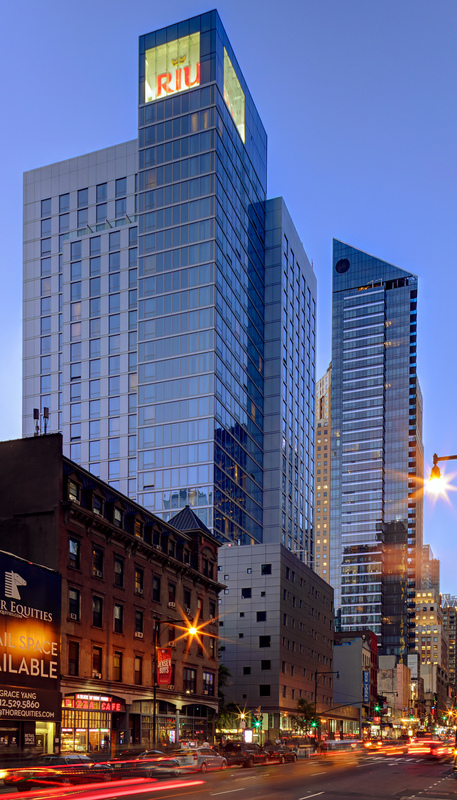 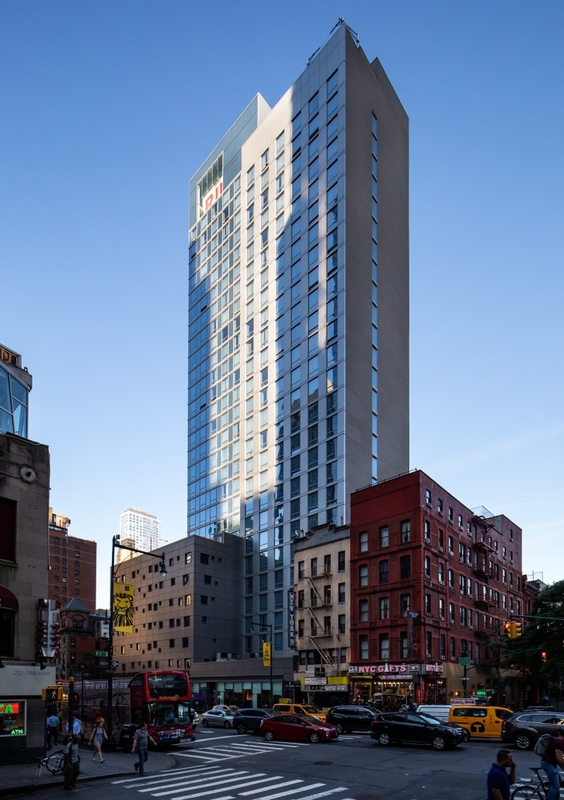 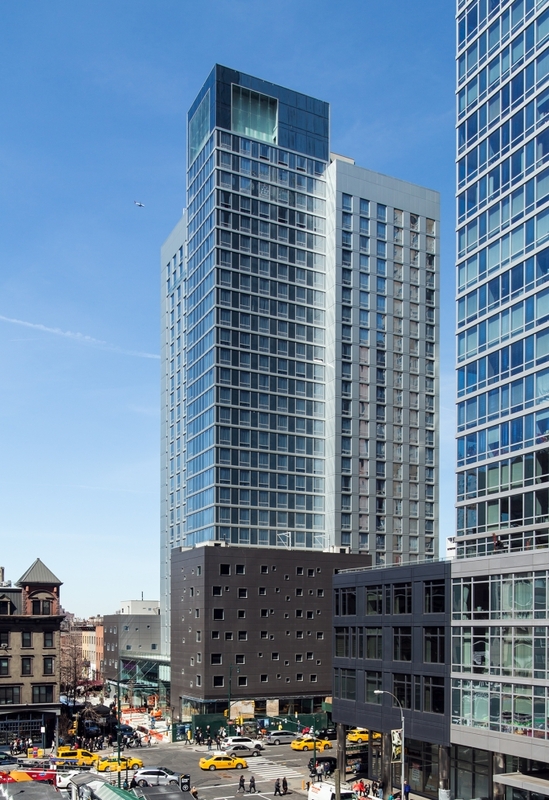 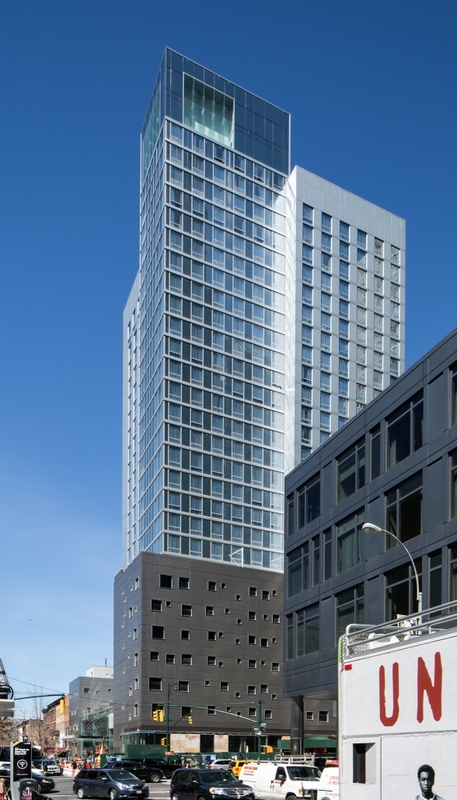 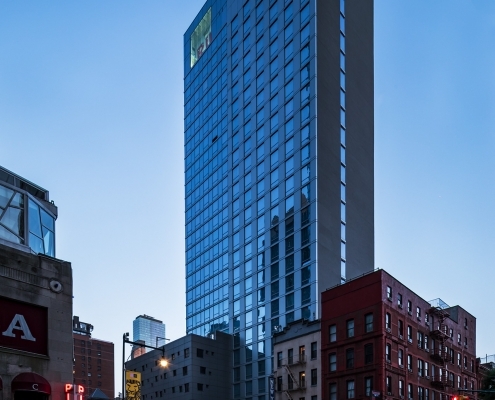 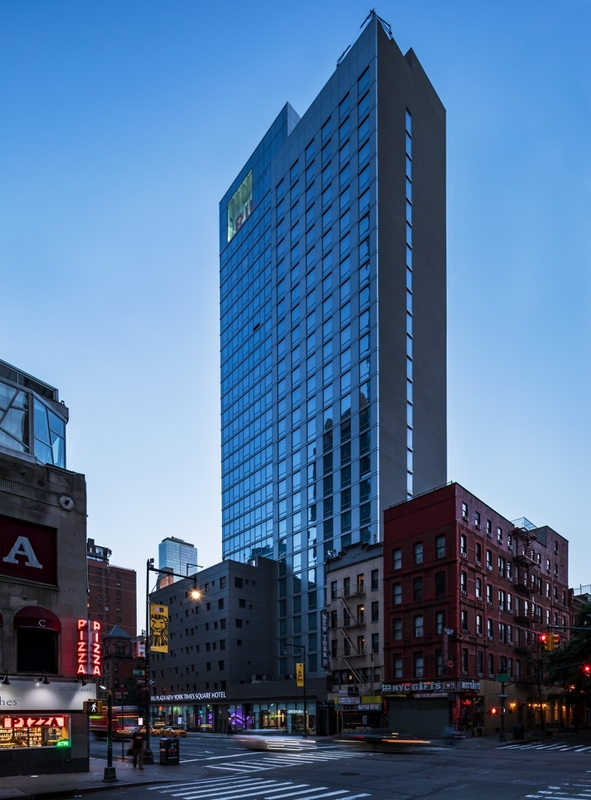 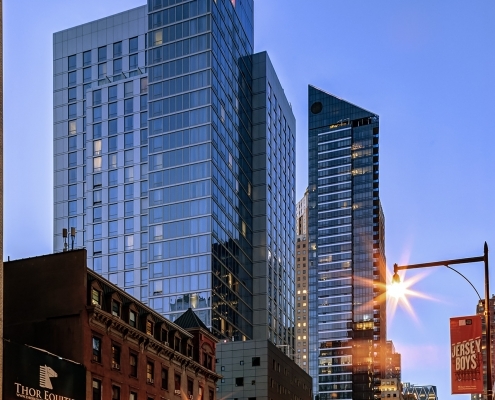 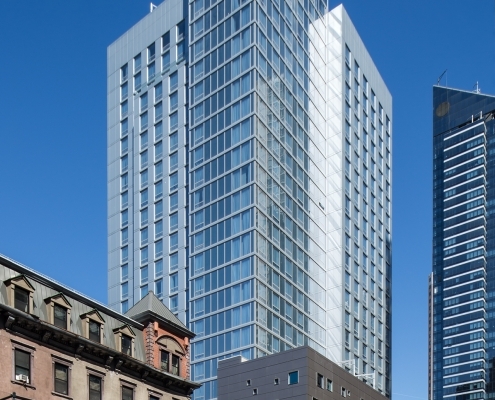 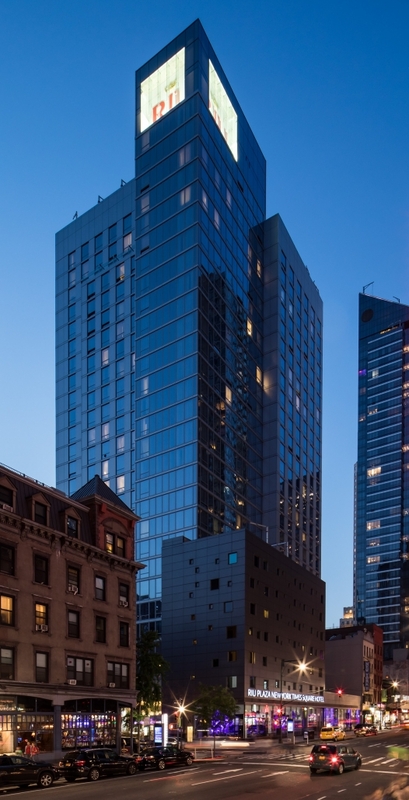 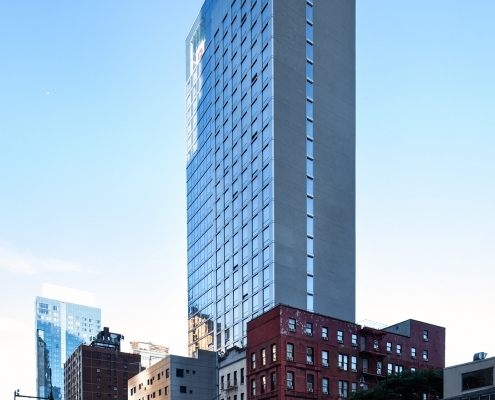 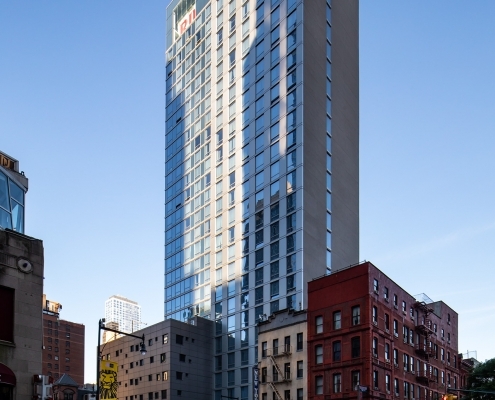 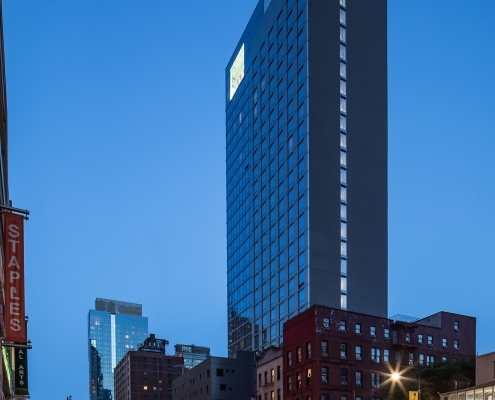 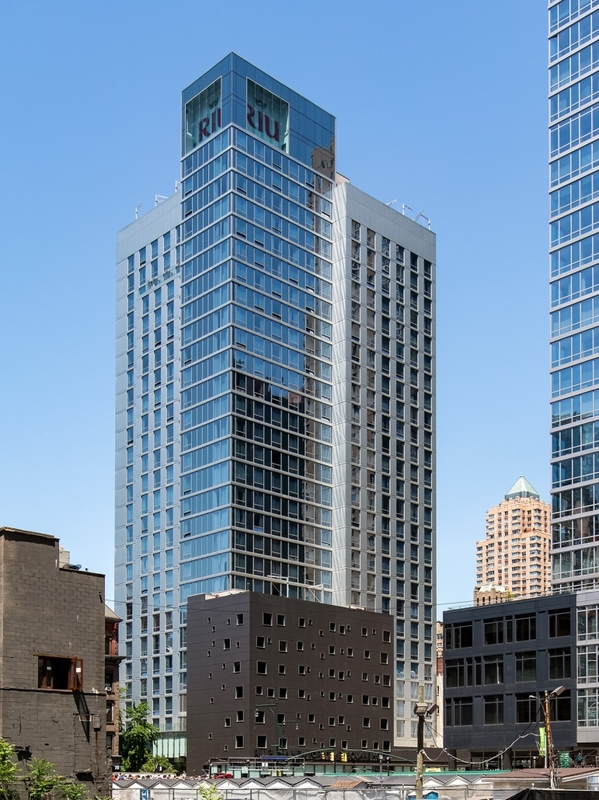 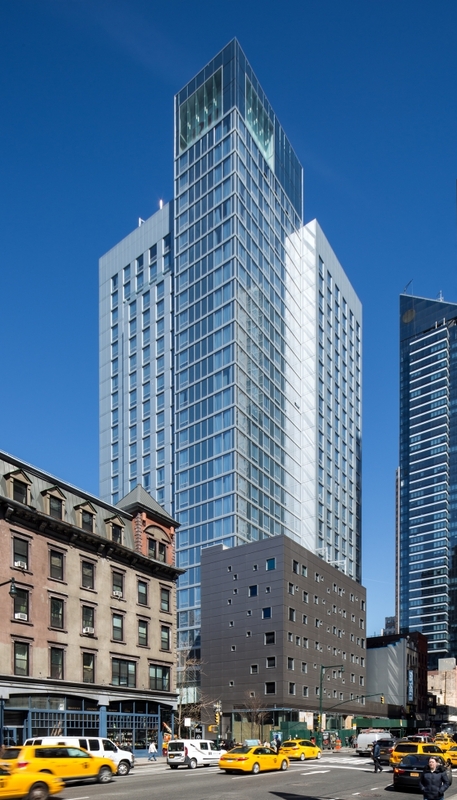 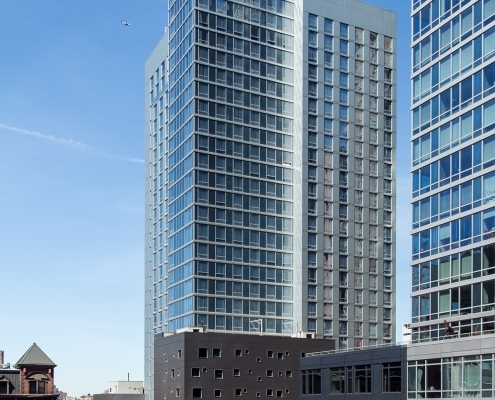 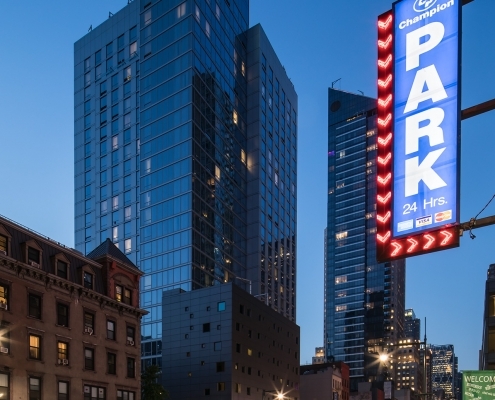 This high-profile hotel Project shall be the first $100-MM+ non-Union construction project in New York City history.